Regular care and maintenance of your new flooring is a simple way to extend the life and performance of your investment and keep it looking like new for years. Here are some general guidelines to follow for the different flooring types. Also, always remember that when it comes to floor care and maintenance, what you DON'T do can be just as important as what you do. If there is any doubt about what cleaning product to use or how to clean your floor, just ask one of our flooring professionals. We are happy to assist you. Vacuum regularly. Dirt, dust, and other small particles are sharp and abrasive, and when they collect in your carpet, they can rip and tear the fibers over time. Regular vacuuming keeps these particles from wearing away at the carpet, and it also improves its appearance. Use mats and runners in front of doorways and in high traffic areas to reduce the amount of soil and moisture tracked into your carpet. Use felt pads or protective caps underneath heavy furniture, especially pieces with narrow legs. Be Careful with chemicals that may come into contact with your carpet and cause permanent damage. Bleach, plant food, tile and bath cleaners, mildew removers, oven cleaners, etc. should be kept away from your carpet. Always tend to the stain as soon as possible. The longer the stain is allowed to "set" in the carpet, the harder it will be to remove. If there are large particles like food on the spot, pick these out first. If the food or solid part of the stain is stuck to the carpet, use the edge of a spoon or dull object to scrape it off before tending to the liquid part of the stain. To remove the liquid stain, take a clean white cloth or towel and blot the area from the outside of the stain inwards to avoid spreading. Do NOT rub or scrub as this will drive the stain farther into the carpet. Use mats and throw rugs inside and outside doorways to help prevent dirt, grit, and other debris from being tracked onto the floor. Vacuum regularly with a soft bristle brush attachment. Wipe up spills immediately with a slightly dampened white cloth or paper towel. Use felt pads or protective caps underneath furniture to prevent scratching and scuffing. Do not wax your wood floor. If the floor looks dull, use a manufacturer recommended hardwood cleaner, and buff the floor. Do not wet-mop a wood floor. Water can dull the finish, cause the wood to swell, and leave a discoloring residue. Use only the manufacturer's recommended cleaning products on your wood floors. Avoid walking on the floor with cleats and high heels. A 200 pound man wearing men's dress shoes with a regular heel will exert less than 30 lbs. of pressure per square inch. However, the latest ladies' high-fashioned, thin heels, known as stiletto heels, can seriously damage all types of floor covering. A 110 lb. woman wearing these shoes exerts in excess of 1,000 lbs. of pressure per square inch. These shoes can dent hardwood floors, chip ceramic tile, puncture carpet and pad, and dent vinyl floors. This is the return of a problem that our industry encountered 20 years ago. It was not then, or is it now, considered to be a manufacturing defect of floor covering materials by any of the floor covering manufacturers. When moving heavy furniture, do not slide it on the wood flooring. Pick up the furniture completely to move it. Vacuum or sweep regularly to remove dirt and grit. Clean regularly with a manufacturer's recommended cleaner or with a diluted detergent solution like Mr. Clean. Be sure to rinse thoroughly with warm water so that no cleaning residue is left behind. Wipe up spills immediately with an all purpose cleaner. Avoid using ammonia-based cleaners that can discolor some types of colored grout. Do not wax a tile floor. Vacuum or sweep regularly to remove grit and dirt. Wash your floor as necessary with a manufacturer's recommended floor cleaner such as Bona Kemi' s Hard Surface Cleaner or Armstrong's Once N' Done No Rinse Cleaner. Wipe up spills immediately and clean with a manufacturer's recommended cleaner if necessary. You can also use a diluted mix of warm water and clear ammonia. Polishing can be necessary if your floor begins to look dull. Use the manufacturer's recommended polish to restore the floor to its original gloss. Always try cleaning first to make sure that is not the cause of the dullness. Use non-staining mats at room entrances to keep dirt and grit from being tracked onto your floor. Be careful when moving large objects like appliances on vinyl floors. They can cut and tear the vinyl sometimes beyond repair. Do not use abrasive cleaners, soaps, waxes, or solvents on vinyl flooring. Place a pad underneath the rug to keep the rug from sliding, which can cause premature wear. Rotate the rug periodically to spread the wear evenly. Vacuum regularly to remove dirt and dust. If the rug has a fringe border, be careful vacuuming with a beater bar. It can pull on the fringe and cause separation. Tend to spills immediately following the Carpet Stain Removal procedure. Professional cleaning can be necessary if the rug appears dirty despite vacuuming or has set in stains that cannot be tended to by the methods described above. We recommend using a reputable professional who is accustomed to cleaning high quality area rugs. Vacuum regularly with a soft bristle brush attachment. You can also sweep with a soft bristled broom. Use only cleaning products recommended by the manufacturer. Do not use wax, oil soap, common household, or any abrasive cleaners. Avoid walking on the floor with cleats and high heals. When moving heavy furniture, do not slide it. Pick up the furniture completely to move it. Light dust mop or vacuum regularly without a beater bar to remove dirt, dust, and other particles. Some cork floors require re-finishing at some point depending on the level of foot traffic that the floor is subjected to. It is important to re-finish before the original coating has worn completely down. A professional should be used for the re-finishing process. Use felt pads or protective caps underneath furniture to prevent scratching, gouging, and scuffing. Wipe up spills immediately with a slightly damp white cloth or towel. When moving heavy furniture, do not slide it on the cork. Pick up the furniture completely to move it, and set it down carefully. Vacuum or sweep regularly with a soft brush attachment. Use manufacturer recommended cleaners designed specially for laminate flooring. Wipe up spills immediately with a damp white cloth, towel, or sponge. When moving heavy furniture, do not slide it across the laminate flooring. Pick up the furniture completely to move it. Do not polish or wax laminate floors. Do not use soap-based detergents or "mop and shine" products on the floor. These can leave a dull film. Do not refinish or sand laminate floors. Do not use any abrasive cleaners, scouring powder, or steel wool on the floor. Only use a manufacturer's recommended cleaning product. Laminate flooring can become slippery when wet, so allow time for the floor to dry after washing. Dyson vacuum cleaners will void all carpet manufacturer's warranties. 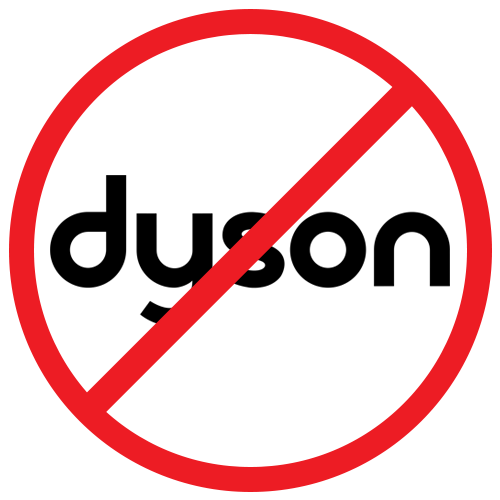 Kiser's will not be responsible for claims caused by using Dyson products. Please visit www.carpet-rug.com for a list of approved vacuum cleaners.